Xu Gao: Financial supervision strengthens the suppression of currency transmission. Local governments should increase their leverage and stabilize growth. Chief Economist of Everbright Securities Asset Management Co., Ltd., Director of China Chief Economist Forum, Member of the Chief Economist Committee of China Securities Industry Association, Ph.D. and Part-time Researcher of National Development Research Institute of Peking University. The measures of strong financial supervision have obviously suppressed the shadow banking business, which has blocked many channels of social financing. The traditional financing of the real estate and local government financing platforms, the traditional financing giants, have also been curbed by regulatory policies. Traditional credit tends to large state-owned enterprises, making private enterprises more dependent on shadow banking than state-owned enterprises. The strong financial supervision policy has significantly curbed shadow banking activities, which has caused more serious adverse effects on private enterprise financing. It is necessary to stabilize infrastructure investment through some infrastructure projects that are being done now, while stabilizing the real estate market and real estate investment, thereby achieving stable economic growth. Only when the economic environment improves, the difficulties faced by private enterprises can be effectively resolved. Need financial innovation, design a variety of financing methods, financing tools, combined with the different financing needs of private enterprises, to provide diversified financing support for private enterprises. Letting the central bank buy bonds directly and buy stocks will expose the central bank to financial market risks, which will threaten the stability of monetary policy. In fact, there is no need and should not let the central bank directly rush to the front line. A better way is to loosen the monetary policy transmission path by relaxing financial regulatory policies. China is a high-saving country, and it is inevitable that domestic savings will be converted into incremental domestic debt. Local governments have a need for reasonable growth in debt. This will enable local government infrastructure investment to achieve a reasonable economic growth. financial:In 2018, the central bank lowered the reserve ratio three times, a total of 2.5 percentage points. In history, it was considered to be more, but the effect was not very good. The social welfare was still lower and did not improve. Why do you think the reserve rate cut does not work? 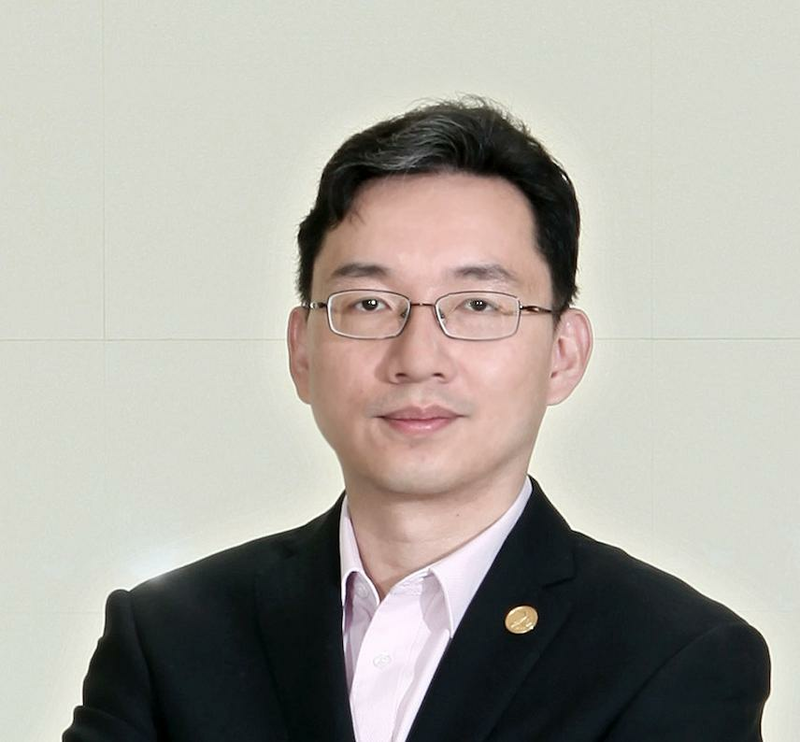 Xu Gao:The monetary policy transmission path consists of two main links: one is the central bank's base currency, which mainly affects the inter-bank market and the financial market's liquidity; the other is the broad-based monetary derivation of the financial system through the distribution of social financing, which determines the real economy. Mobility. The RRR cut is actually to increase the amount of the base currency and increase the liquidity of the interbank market. When the monetary policy transmission path is blocked, the liquidity of the interbank market may not be transmitted to the real economy. The scale of social financing counts the financing support of the financial system obtained by the real economy from various sources. The growth rate is determined by several factors: whether the base currency is sufficient, whether the real economy has sufficient financing needs, and whether banks have some administrative constraints in credit supply... These will constrain social growth. The current situation is that the RRR has been lowered three times in 2018, and the liquidity in the interbank market is relatively abundant. However, because the measures of strong financial supervision have significantly suppressed the shadow banking business, many of them have been blocked by the way in which the shadow banking has been put into the real economy. this is a problem. 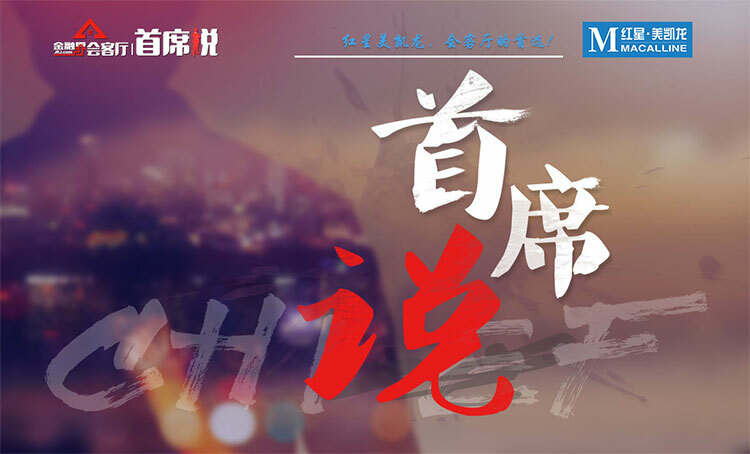 Another problem is that the financing needs of the two traditional financing giants, real estate and local government financing platforms, have also weakened due to regulatory policies. This makes it more difficult for commercial banks to launch social financing. Under the combined effect of these factors, although there are many base currencies and the liquidity of the interbank market is relatively abundant, the growth of social welfare is unable to rise. Private enterprises are seriously injured. Supervision needs to cooperate with monetary policy. financial:Then, do you think that although the effect is not obvious, the central bank has been mainly adjusting the reserve ratio? Xu Gao:Delivering the base currency through RRR reduction is a necessary condition, not a sufficient condition, for social expansion. That is to say, if the base currency is put in, the social welfare may not come up; but if the base currency is not enough, the social welfare will not start. Therefore, the RRR reduction is still needed. However, after the RRR cut, other policy cooperation is needed to finally realize the expansion of social financing and the dissolution of the difficult situation of the real economy financing. financial:Then you can elaborate on whether this is a mismatch or a mismatch between fiscal policy, monetary policy and regulation. Xu Gao:Of course, the three need to be more coordinated before. What is most needed now is monetary policy and financial regulatory policy. To flow into the real economy, money needs financing channels. If the financial supervision is more stringent and the circulation of money to the real economy is not smooth, then the monetary policy will be loose and the money will be difficult to enter the entity. This is the current downward pressure on the economy, especially for private enterprises facing the extremely harsh financing environment. I think that financial regulatory policies need to be optimized and need to play the role of financial support entities. financial:In other words, the financing method usually used by the real economy is suppressed because of strong supervision. Xu Gao:The original intention of the financial strong regulatory policy is good, and it has indeed resolved some financial risk points. But the policy needs to grasp a degree, too far. Because traditional bank credit tends to be a large state-owned enterprise, private enterprises are more dependent on shadow banking financing than state-owned enterprises. However, the financial regulatory policy has a somewhat restraining effect on shadow banking. It has cut off a lot of money flowing to the real economy, especially to private enterprises. As a result, private enterprises are seriously injured. financial:So what do you think you need to do now if you want to transfer funds to the real economy and private enterprises? Xu Gao:Financial regulatory policies need to be evaluated and optimized in a realistic manner. The place to relax should be relaxed, especially not arbitrarily “one size fits all”. The function of finance is to deal with risks and diversify risks. A completely risk-free financial system cannot exist, nor should it be the goal pursued by financial regulatory policies. At present, the market has a strong response to the new regulations on asset management. It is necessary to re-examine the details of the new regulations on capital management and make optimization according to the needs of the real economy. financial:Let's talk about the confidence of private enterprises. How do you feel that you can reshape the confidence of private enterprises and improve the business environment of private enterprises? Xu Gao:First of all, it is necessary to provide more support to private enterprises in policy guidance. Last year's private entrepreneurs symposium has issued a clear political signal, reaffirming the policy orientation of our party's firm support for the development of private enterprises. Private entrepreneurs have already taken a reassurance. Next, governments at all levels should put the spirit of the central policy into concrete work and use actions to build confidence for private entrepreneurs. Second, there is a need for policy optimization in financial regulation. As I said before, many private companies rely on financing channels such as shadow banking. If the financial regulatory policy is too strict, it will have a particularly serious impact on private enterprises. Therefore, on the one hand, it is necessary to re-examine the financial supervision policy and leave room for some reasonable financing methods; on the other hand, it needs to be inclined to the private enterprises in the form of formal financing such as credit. Again, economic growth needs to be stable. Private enterprises are small in scale and relatively weak in risk tolerance. They are not good at every economic downturn. Therefore, creating a relatively loose macro environment through a steady growth policy can help private enterprises get out of trouble. It is necessary to boost infrastructure investment and stabilize real estate investment to achieve stable economic growth. The economic environment has improved, and the difficulties faced by private enterprises can be more clearly resolved. financial:It has been difficult for private companies to obtain loans, so they usually pay a higher risk premium to obtain credit. Do you think there is any way to reduce the financing costs of private enterprises? Xu Gao:High risk corresponds to high returns, which is the basic financial law. The scale of private enterprises is small, and the operational risk is higher than that of large enterprises. This is a basic fact, so it is reasonable for private enterprises to raise costs more than large enterprises. However, in 2018, the credit spreads of private enterprises relative to state-owned enterprises and central enterprises have significantly increased, and private enterprises are facing the historically high financing costs. This is an unreasonable phenomenon that needs to be corrected. At present, financial regulatory agencies, including the Banking Regulatory Commission, are looking for ways to support banks in lending to private companies. Such a policy will have some effect. In addition, financial innovation can also reduce the financing costs of private enterprises. The scale of private enterprises is relatively small, and the assets that can be mortgaged are relatively small. For such a situation, it is not enough to rely on traditional credit, and there are also diversified ways to meet their financing needs. Therefore, we must continue to promote market-oriented financial innovation, design a variety of financing methods, financing tools, combined with the different financing needs of private enterprises to provide diversified financing support. The central bank does not have to rush to the front line. Local governments need to increase their leverage. financial:Going back to the central bank's topic, the recently released economic data shows that the growth rate in the fourth quarter was 6.4%, which was as low as in the 2008 financial crisis. Do you think it is necessary to go directly to the government to buy government bonds as discussed in the market? And stock? Xu Gao:The direct purchase of treasury bonds and stocks by the central bank is a quantitative easing and is a category of unconventional monetary policy. There is such a discussion in the market at present. The problem now is that the transmission path of monetary policy is blocked and the flow of funds to the entity is not smooth. Therefore, the placement of the central bank's base currency is difficult to alleviate the financing difficulties of the real economy. At this time, unconventional monetary policy tools may be used to allow the central bank to directly buy bonds and stocks issued by the real economy and directly put the funds into the real economy. But this is not the best option. Because this will expose the central bank to financial market risks, thus threatening the stability of monetary policy. A better approach is to optimize financial regulatory policies, unblock the path of currency transmission, and introduce the liquidity of financial market deposits into the real economy. This will not require the central bank to directly rush to the front line. In fact, the central bank should not rush to the front line directly bypassing the commercial banking system. financial:Does the current emergence of such a discussion mean that everyone is pushing responsibility to the central bank? What seems like everyone wants the central bank to do it. Xu Gao:The formation of this situation is largely not the responsibility of the central bank. However, the central bank is the issuer and regulator of the currency. After the real economy financing is difficult to emerge, the parties will naturally hope that the central bank will take measures to solve the problem. This puts the central bank in a relatively difficult position. We can see that since 2018, the central bank has been the most active policy adjustment among various ministries. This shows that the central bank is highly sensitive to changes in the economic and financial situation. However, the capacity of the central bank is also limited. The problem now is not that the central bank can solve it completely. Therefore, the next step is to make better policy coordination among various ministries, so as to clear the transmission path of monetary policy and achieve reasonable growth of social financing. financial:As the central bank of China, the People's Bank of China does not have the same functional objectives as other countries. It must control inflation, promote employment, and ensure the stability of economic growth. So everyone has a lot of expectations for her. Do you think it is a good idea to explicitly let the PBOC track only a single target? Xu Gao:Not all central banks in the world have clear single goals. It is true that some national central banks have a single goal, only targeting inflation targets, such as New Zealand. But not all central banks are like this. The Fed is a double goal. One is inflation and the other is full employment. The People's Bank of China is a multi-objective system that needs to maintain inflation stability, promote growth and employment, and balance other objectives such as financial stability. This multi-objective situation is not unique to the People's Bank of China. Moreover, China is still a transitional economy, the market mechanism has not been fully established, and various monetary policy transmission mechanisms within the market have not been fully in place. At this time, it is necessary for the People's Bank to consider a variety of factors and track multiple targets. financial:Now that the local government’s debt is already high, what measures do you think can help ease the debt? Xu Gao:China is a high-saving country, and the transformation of savings into domestic debt has its rationality and inevitability. It is inevitable that domestic savings will be converted into incremental domestic debt. In the short term, the economy still needs to rely on investment. At this time, it is nothing more than seeing who will add this leverage. The leverage ratio of China's non-financial corporate sector is already high. Although the leverage ratio of the resident sector is not high, it has risen rapidly in the past two years. Therefore, from the risk of leverage, the risk of government leverage is the lowest. Therefore, at this time, the government needs to increase leverage. As a major investor in infrastructure, local governments need to play their stable growth function. Therefore, the reasonable growth of local government debt should be allowed at present. This will drive economic growth and dilute the debt ratio by expanding the size of the economy. Focusing on the amount of debt and using austerity policies to promote de-leverage will slow down economic growth, but will cause the debt rate to rise. In 2018, China promoted a strong deleveraging policy. As a result, the proportion of total social debt to GDP increased significantly, and the asset-liability ratio of industrial enterprises also increased significantly. From the data point of view, the deleveraging policy has brought about the effect of the South-South. This is what decision makers need to reflect on.